We can help you avoid all of the pitfalls that come about with lawn maintenance. Green Leaf is a trusted company that is devoted to providing expert service to the people of this region. We want you and your family to be safe and have amazing results when it comes to lawn care. In addition to being a service provider that takes care of your home and lawn, we are also a company that cares about the people in Tulsa. This article is about safe lawn care and you. Weeds are an unwanted invasive presence in any lawn or garden. And while it may be tempting just to poison the interlopers rather than pull them out by the roots in an arduous process, many toxins that kill weeds can also be dangerous to children and pets. To avoid endangering your property and your family, it’s vital you look for solutions that are safe and reliable for your lawn. Green Leaf is here to assist homeowners, business owners, and property managers with all of their holiday lighting installation needs. If you’re looking for professionals to decorate your Tulsa home this holiday season with amazing Tulsa Holiday Lights, Green Leaf is here to help. We are ready to help out during the holidays and get your property looking fantastic and shining bright throughout the neighborhood. Don’t let the Tulsa holiday lights stress you out this year. Allow the experts in Tulsa to take over putting up the lights for your household. We can create the perfect holiday atmosphere for your home. The best part is that you don’t even have to lift a finger or climb a ladder. We come to your home install and test the lights and make sure they are working to a maximum potential. We will also come around in January and help with removal and storage. Give us a call today at 918-640-6405 and visit us online to learn more about Tulsa Holiday Lights in the wide variety of other services we offer when it comes to landscaping in Tulsa. Lawn care is not an exact science, of course, and such a mixture might not perform to your expectations. If these methods don’t prove successful and the weeds germinate and continue to return season after season, it’s time to consider a bigger solution. Sometimes it’s best to just bite the bullet and let the experts in. There are plenty of companies who offer safe and reliable weed control; it’s just a matter of finding the right one for your needs. Green Leaf lawn once to be the company you call whenever you need weed control or any other kind of lawn maintenance in the Tulsa area. Whatever option you choose, though, make sure to be quick about it. Weeds wait for no one, and if you put off their removal too long, they can become a severe eyesore. And what’s worse, they’ll offer lots of difficulty for those in your family or friends with plant allergies. Weeds are not just a pain in the garden; they’re sometimes a pain in the sinuses, too! So get cracking today. 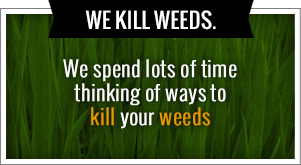 Be sure and check us out online today at www.greenleafweedcontrol.com or give us a call at 918-640-6405 for more information. With a few tips a little creativity from our experts you can be sure that your home is the envy of all your neighbors this year. Winter is the time of gingerbread homes, holiday lights, mistletoe, and so much cheer. If you’re determined not to be outdone by your neighbor again this year, you’re going to need a game plan. While many people dread the thought of spending entire Saturday afternoons outside on a chilly day on a ladder, we’re here to tell you that putting of holiday lights can be easy and fun with the experts at Green Leaf Lawn. Tulsa Holiday Lights are handled with care and expertise whenever you use our services. The first step in any creative process is planning. Planning is crucial in all things holiday decorating related, especially Tulsa Holiday Lights. You must decide where and how how many lights will be needed and you must also decide on what type of life you use, with literally hundreds of choices. These days deciding the right type of color and gold are harder than ever, and traditional bulbs are cheaper, but LED will last season after season. It’s important to choose a style you love enough to put up year after year. After all of these decisions have been made it’s time to call Jamie Nix and Josh Mathias at Green Leaf Lawn Service. We are dedicated to providing a variety of landscaping services to the people of Tulsa as well as Tulsa Holiday Lights. It’s important to stay safe during the holidays. As with any other project, safety is paramount. Make sure that you always have a spotter when you’re up on that ladder and always wear proper footwear. Never risk your life to hang up holiday lights! If you have any doubts about safety, don’t hesitate to consult the professionals at Green Leaf Lawn. We offer Tulsa holiday lighting for exceptionally reasonable prices. We promise to always try and exceed our customer’s expectations and give them the care and attentiveness they seek out whenever the holidays roll around. Our company has a wide variety of services including lawncare in the summer and seasonal services year-round. We can truly be your number one choice for maintaining your beautiful home and lawn. We also like to think of ourselves as a responsible company that gives back to the community. We have a program called “Cutting for the Kids” where we donate five dollars to the school district of our customers choosing every time I start a new service. 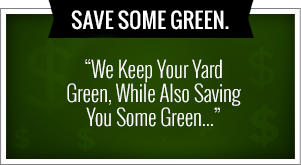 Shop with a company that is responsible and it will pay dividends in both the community and your lawn and home.